Photo of the recovery operation after a crash on the M1. Pic: Highways England. 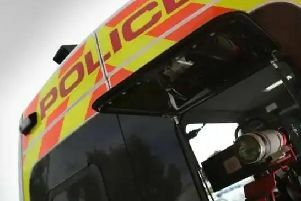 The M1 has re-opened after a serious crash between J28 and 27. Officers were called at 3.30am this morning (Friday, February 8) following a collision between a lorry and two cars on the M1 southbound, between Junctions 28 and 27. The motorway was closed ‘for more than six hours’ while a recovery operation took place. A woman, believed to have serious injuries, has been taken to Queen’s Medical Centre in Nottingham. Highways England confirmed all lanes are now open. However, motorists should still expect heavy traffic.